Taalyogi Pandit Suresh Talwalkar is an accomplished tabla artist, an expert musicologist, and a versatile Guru, and is considered to be one of the greatest tabla exponents of the present time. He believes that “Guru Shishya Parampara” is the soul of Hindustani classical music, and as a guru, his teaching abilities and expertise is unmatched. 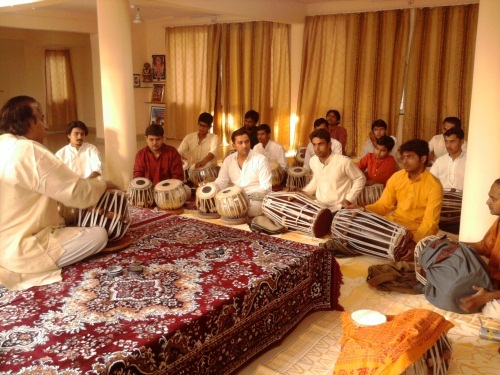 Many of the young tabla players in the current generation are Sureshji’s disciples, and have received taleem from him. Under his guidance, they have attained proficiency not only in solo tabla and Pakhavaj playing, but also in accompaniment for vocal and instrumental music, and Kathak dance.